After delivering a B-17 Flying Fortress to Britain, an American volunteers to copilot a plane carrying special agents to their drop spot over Normandy. Her personal mission: to find her brother, who is missing in action. Their plane is shot down, and only she and five agents survive. Now they are on the run for their lives. 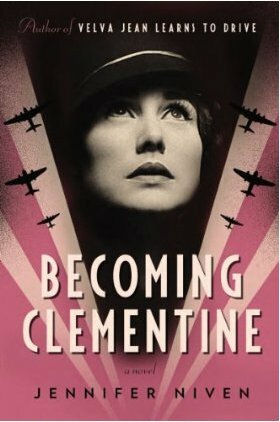 As they head to Paris, the beautiful aviatrix Velva Jean Hart becomes Clementine Roux, a daring woman on an epic adventure with her team to capture an operative known only as "Swan." Once settled on Rue de la Néva, Clementine works as a spy with the Resistance and finds herself falling in love with her fellow agent, Émile, a handsome and mysterious Frenchman with secrets of his own. When Clementine ends up in the most brutal prison in Paris, trying to help Émile and the team rescue Swan, she discovers the depths of human cruelty, the triumph of her own spirit, and the bravery of her team, who will stop at nothing to carry out their mission. Readers of 22 Britannia Road, The Postmistress, and Suite Francaise will cherish Becoming Clementine—a romantic World War II adventure told from the perspective of a courageous and beautiful heroine. 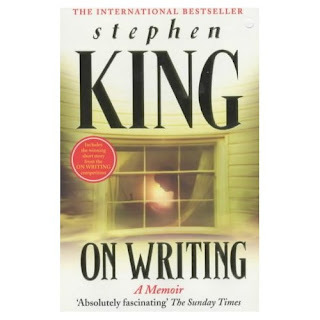 Stephen King’s ‘On Writing’ is a useful read for anyone who writes – or would like to. I grew up on Stephen King’s thrillers without really knowing anything about the man who wrote them. I read ‘On Writing’ when it was first published but have written several books since then, so it was interesting to see if it was still as good. It was better. Ten years have done nothing to diminish the power of the story telling that runs through this book. There are also some great quotes that passed me by on the original reading (or perhaps slipped into my subconscious) such as ‘the editor is always right’ and ‘2nd draft = 1st draft – 10%.’ It’s easy to see how King has drawn on his childhood experiences in character development. Growing up in poverty was an adventure - and no TV seems to have been a distinct advantage. Undaunted by his growing pile of rejection slips, Stephen King just knew he was meant to write and nothing was going to stop him. I really liked his description of the moment he had his first big advance (for Carrie). The early draft had been rescued from the waste bin by his wife. (She smoothed out all the crumpled balls of paper and said she wanted to hear the rest of the story. The film version made $33.8 million in the U.S. alone). Although there are plenty of useful tips for writers throughout, the most thought provoking part of this book is the final section, ‘On Living: A Postscript.’ King explains, ‘Writing is not life, but I think that it can be a way back to life. That was something I found out in the summer of 1999, when a man driving a blue van almost killed me.’ You have to read it. Once upon a time, my aspirations to write were far greater than the material available to me. 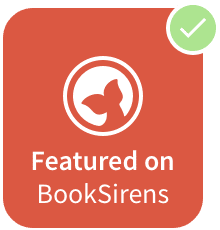 This stemmed partly from family taboos that sidelined the most worthy stuff, but mainly, it was due to my fairly ordinary and predictable life. Normal ups, normal downs and a lot of straight-down-the-middle living... Picture a twelve-year old in knee socks and pig tails writing sad yet hopeful stories about life as a street urchin before slipping downstairs to meatloaf surprise and a Disney movie. My stories lacked credibility, a critical ingredient. And then life started for real. Death, disease, divorce, despair… The only thing lacking was perhaps a melancholy sound track to accompany my trips to hospitals, funeral homes and divorce court. A dozen crises later, I had a light bulb moment in which I realized I’d suddenly been “gifted” with an unusual amount of material. And as tragedies continued to pile on, I began wriggling my way out from under via humor. Finding the funny became a survival skill as critical to my well being as chocolate and red wine on a bad day. What’s funny about midlife dating? Well, in my mind, stumbling back into the awkwardness of our youth with the skepticism of a forty-something is either pathetic or humorous, and my long-term view is that the latter leads to better wrinkles. And somewhere along the way, as friends laughed at my wry observations, I began writing them down. “Freshness dates” took on a whole new meaning when a would-be suitor followed me from the bread aisle to a Walmart checkout a few years ago. His earnest attempt to “connect” as my groceries paraded past the scanner was touching but odd. I did the only reasonable thing I could do: I wrote about it. After a would-be suitor tails her to a grocery store checkout, Angie Wharton confronts the grim realities of her post-divorce dating options. Niggling guilt, a fickle resolve and easy access to her sister's dinner table have kept her on the sidelines, but her brother-in-law's patience --and supplies of cabernet are running low. Pressed into posting an online dating profile, Angie decides to take the offense before love passes her by. But navigating this borderless world of blurred photos and lonely hearts will require her to create both a virtual roadmap and a new understanding of herself. Lipstick? Check. Eye contact? More or less. Awkward moments? Uh huh. Love...? Curious? 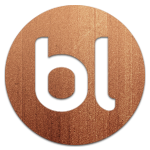 I'd love to hear your comments! 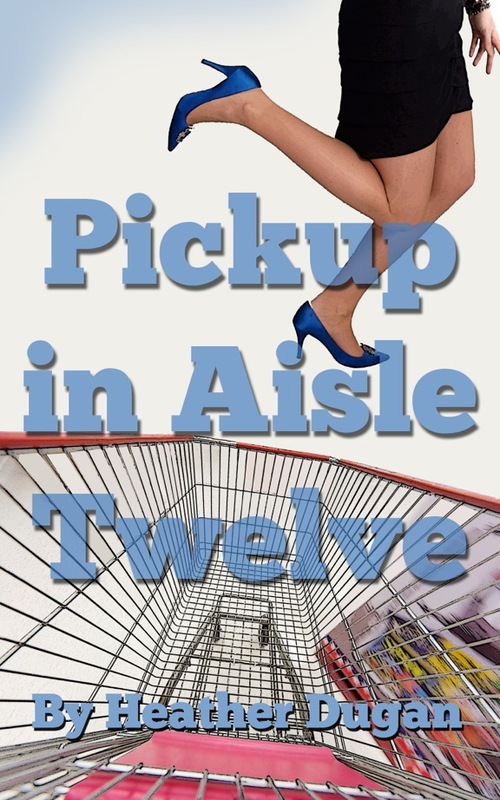 Please look for the free chapter of "Pickup in Aisle Twelve" on Amazon, and follow me —Heather Dugan— and Angie Wharton on Twitter! Next up in the trilogy? “Profile on Page Nine," of course! 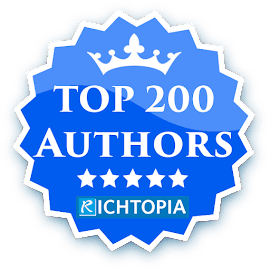 Heather Dugan is a writer/advice columnist and voiceover/video talent who specializes in spotlighting the inspiring, and often humorous, elements of family, business and travel. 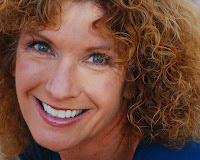 Her articles, voiceovers and videos can be found on various business and travel sites and via links at http://www.heatherdugan.com. She resides in Central Ohio with her children and a wayward chocolate lab, is slightly addicted to outdoor activities and would never let her passport expire. In between deodorizing shin guards, power grocery shopping and explaining proper application of lawn care products in corporate videos; her passion for travel and the great outdoors takes her off the map (oops) and all over the world. She considers humor to be her best accessory. It was fascinating to visit George Bernard Shaw’s Edwardian villa, ‘Shaw Corner’ in the tiny Hertfordshire village of Ayot St Lawrence, where he lived for over 40 years from 1906 and wrote some of his most famous plays. Born in Dublin, on 26 July 1856, George Bernard Shaw is the only person to have been awarded the Nobel Prize in Literature and an Oscar (for his contributions to literature and the film My Fair Lady, based on his play 'Pygmalion'.) A passionate Socialist, Shaw used his fame to campaign for improvements to social injustice and equality. Shaw Corner has been preserved by The National Trust much as he left it, so there is a real sense of how it must have been to live and work there. I was particularly interested in his study, where his writing desk faces the window looking out across the lawns and gardens. Shaw wrote fifty-two plays and five novels in his lifetime and always aimed to write at least five pages every day, regardless of whatever else was going on in his life. The Remington typewriter on his desk was apparently reserved for correspondence, however, as much of his writing was done in a shed at the bottom of his garden. Still in good condition, Shaw’s hut is famous for a special design feature that meant it could be easily rotated to make best use of the available light. (Shaw called his writing hut ‘London’ so that unwanted visitors could be told he was ‘visiting the capital’.) A report in the 1932 Modern Mechanix magazine said "Mr. Shaw has a plan to keep the sun shining on him constantly while he works. He has constructed a small hut on his grounds that is built on a turntable. When the morning sun shifts, he merely places his shoulder against the side of the hut and gives it a push so that the warming beams fall through his window at the correct angle. Mr. Shaw’s plan to keep the sun shining on him is a simple health measure, and not a wanton eccentricity. The author has spent most of his life out of doors, but when he moved to London he didn’t get as much sun as he thought he needed. Hence the hut." George Bernard Shaw's writing hut also featured in The Guardian's Writers' Rooms series, where his biographer Michael Holroyd points out that this was also where Shaw went to hide from people. As well as the turntable technology, Shaw’s writing hut included “an electric heater, a typewriter, a bunk for Napoleonic naps and a telephone to the house which could be used for emergencies such as lunch: surely everything a writer could need."